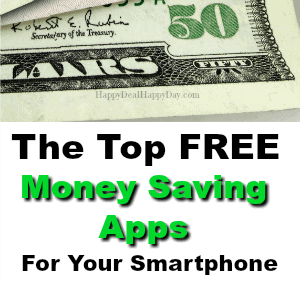 Best Money Saving Apps For Your SmartPhone | Happy Deal - Happy Day! Join us for Day #16 of the 20 Day Budget Challenge – The Best Money Saving Apps For Your Phone! 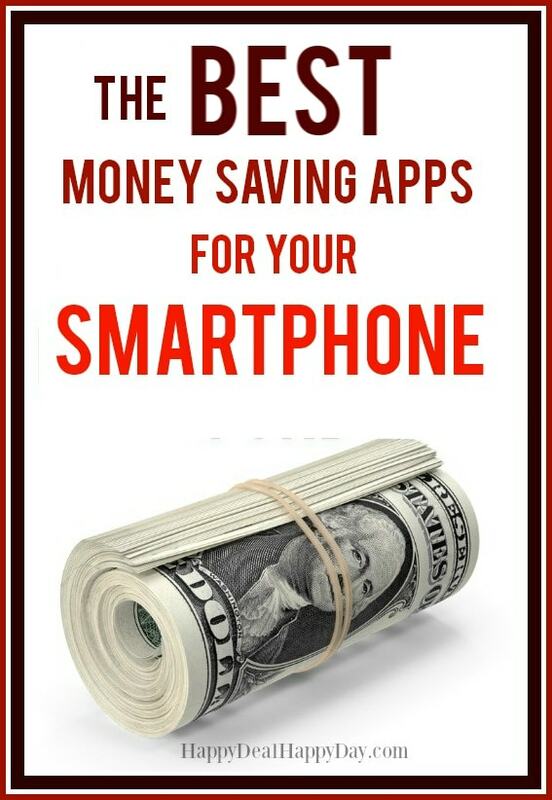 Let’s talk today about how you can get the best money saving apps on your phone. These help us save money that goes above and beyond finding and clipping paper coupons, or using promo codes when shopping online. 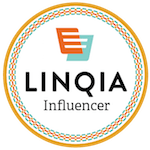 My favorite money saving app is Ibotta (cash back program – use referral code nettpg when you sign up!) Basically you click on deals you want and can either upload a picture of your receipt or link your grocery store rewards card and automatically get the savings in your cart. When you reach $20, you can cash out using Paypal. There is also a new one out called Fetch Rewards. This one is similar to Ibotta, but what is nice is that you don’t have to select the deals before you purchase them. It is just a one step scan your receipt process, and this app automatically finds every deal on your receipt you qualify for. One less step is what I like! When you sign up, use promo code UW6RT and you automatically earn 2,000 points just for signing up (which is the equivalent to $2). They have some great gift card rewards that I want to save up for! You can also sign up for other cash back websites such as SavingStar or Checkout51. I use both of those as well on a regular basis for grocery savings. SavingStar is great because you type in your loyalty card number (Wegmans Shopper’s Club card for example) and when you purchase an item you selected that you wanted a discount for, the savings goes into your account. Checkout51 requires a receipt photo upload. Both of these you can cash out when you reach $20 in earnings. If you want to easily find a weekly ad like you’d find in the newspaper, then you should checkout Retale. If you want to find Big Lots savings for example, you can find the weekly ad for Big Lots right on your phone without have to buy or dig through the newspaper to find it. You can change your location in the app to be sure you are finding your local store deals. You can also earn cash back on online purchases through sites such as Savings.com (ex. shop online at The Children’s Place) or Ebates.com. I recently got 18% cash back from a hotel reservation using Ebates! (Keep in mind, you don’t get your rebate on travel unil 6 weeks after your trip.) Ebates has its own app that you can shop through on your phone. Savings.com has an app called PriceJump where you can scan a bar code of a product and it will tell you the cheapest place where you can purchase it! If you are a Wegmans Shopper, be sure to download the Wegmans App and keep clipping those e-coupons! The savings will come off your total just like a Shopper’s Club deal. Like video better than reading? Then checkout my Facebook Video below where I explain in more detail on how to use my top 3 favorite money saving apps. It will take you a bit of time to download these apps and play around with them a bit. I recommend starting with Ibotta or Fetch Rewards. This post is part of a 20 Day Budget Challenge. If you’d like all of the info from this free challenge right in your inbox, fill out the form below. Then be sure to join the Budget Challenge Facebook group for more discussion!